"We can't be the police for landlords who make bad arrangements," said Evanston Police Chief Richard Eddington. 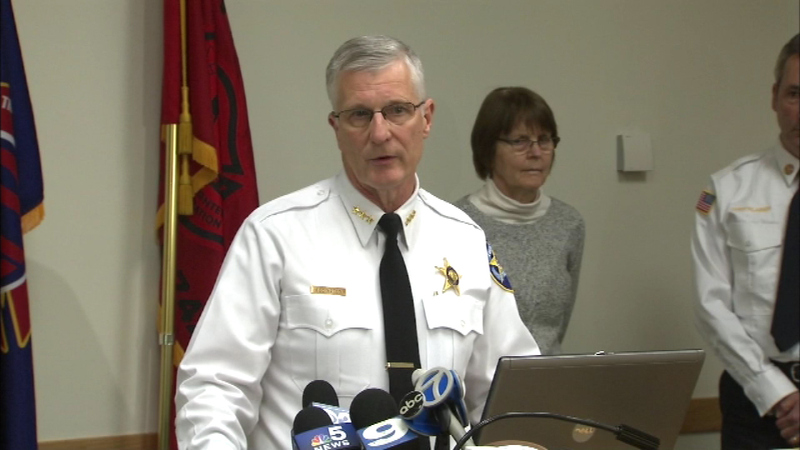 EVANSTON, Ill. (WLS) -- Evanston officials are combating neighborhood crime by targeting nearly a dozen properties linked to criminal activity, including two specific properties that have seen 152 police calls in just the last year. "Residents have a right to a peaceful safe place to live, a safe place to raise their children," said Evanston Mayor Elizabeth Tindahl. One of the problem properties is a house in the 1700-block of Dodge Avenue, where a 31-year-old woman was found dead of an apparent drug overdose in the home's yard on Halloween morning. Police said the address is a hangout for gang members and they have responded to at least 27 calls there in the past year. "We can't be the police for landlords who make bad arrangements," said Evanston Police Chief Richard Eddington. "We are trying to break that cycle." To combat the problem, officials in the northern suburb plan to use the town's nuisance premises ordinance, which requires landlords to evict tenants from buildings where a felony has occurred or two or more misdemeanors or city code violations have happened in a 6-month period. "When you have shootings that are within a two-block radius of the high school and late in the afternoon, that should be a concern," said Ald. Peter Braithwaite (2nd ward). And while some of the tenants who live at the targeted addresses welcome the cleanup, one renter said she fears things will get worse before they get better. "I'm almost to the point where I want to move," said the renter who did not want to be identified. "It's scary. I have children." Just last week, police arrested two people after gunfire broke out at Evanston Township High School. One of the individuals ran to the block where one of these problem properties are located, police said.